Asian Pacific Group is preparing to move ahead with West Melbourne's largest residential project. Partnered by Ironfish Developments, the duo are behind Melbourne Village, with signage for the project appearing onsite in recent days. At 83-113 Batman Street, Asian Pacific Group's purchase of the site a year ago came with planning approval for a Bruce Henderson Architects-designed 522-apartment scheme. Covering 3,800-square metre plot and with a secondary frontage to Spencer Street, imagery for Melbourne Village shows a new exterior look which differs considerably to the Bruce Henderson Architects design. 83-113 Batman Street first appeared on the planning horizon during 2012 when West Melbourne was less of a high-rise magnet. Two residential buildings of 31 and 41 storeys were initially requested, although Asian Pacific Group snared the approved site with dual 27-level residential towers permitted. The site went back to planning during September of this year, encompassing the revised design and was promptly approved during October. Although shorter than The Spencer which will stand at 131 metres upon completion, Melbourne Village can become the suburb's biggest development by apartment numbers. Should Asian Pacific Group and Ironfish Developments push through with anywhere near the approved 522 apartments, Melbourne Village will comfortably surpass The Spencer and Trenerry Property's Rosslyn Street, both of which have total apartment numbers in the 400's. Marketing material for the project suggests that both towers will be set above a village-like podium. 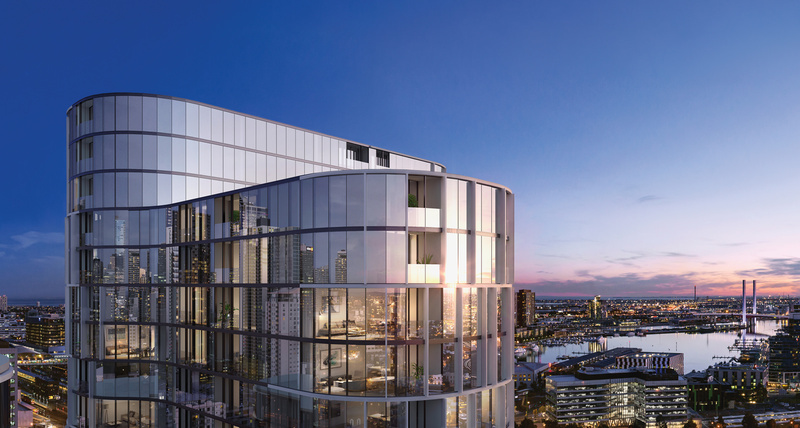 With registrations of interest now open for Melbourne Village, it becomes Asian Pacific Group's fourth Melbourne project in play. The developer along with Ironfish found rapid success with Whitehorse Towers atop Box Hill, which sold out promptly. With that project well into construction, Asian Pacific Group also has a stake alongside Golden Age Group in Opera St Kilda Road and Collins House. Both are in their early construction phase. Asian Pacific Group's increased push into residential apartments supplements their successful hotel drive over recent years by way of their Art Series Hotel Group.